Our call really isn’t that important to them or they would have answered it. That may have been more acceptable in the days before the digital age, but it doesn’t cut it in today’s competitive customer-centric marketplace. 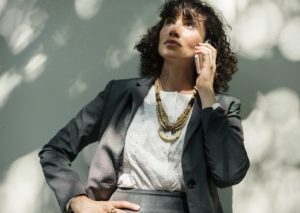 For many callers, these messages are their cue to hang up and return to their Google search to find another business that has the resources to respond to their needs more quickly. Of course, the tricky part for businesses is how to manage calls and deliver excellent customer while still doing the work that needs to be done to run the business. It’s just not possible to do both efficiently and effectively. With a team of virtual receptionists at an answering service on your side, 100% of your calls are answered, at fraction of the cost of an in-house employee. Your customers won’t even be aware that they’re speaking with a representative that isn’t physically in your office. And they won’t get the impression that they’re just one person in a long line of customers that you’re not able to keep up with. Day or night, outsourcing your calls to a team of virtual receptionists ensures that your customers are never thanked for patience they don’t actually have, or reminded that their call really isn’t that important to you. Instead, they’ll hear loud and clear that you really do value their business and are committed to serving them. Voice Link of Columbus, Inc. offers over 30 years of experience in complete answering service solutions, including professionally trained virtual receptionists who will exceed your expectations, 24/7, 365 days a year. With an 82% referral rate, Voice Link offers monthly plans that contain no hidden fees and are tailored to suit your unique needs, no contract required. Request information online or call us at (800) 262-2799 for a free consultation.